Confederation Centre of the Arts Foundation was formed in 2010 to oversee the endowment funds supporting the Centre which help to build a secure, sustainable future. The Foundation’s mandate is to accumulate, administer, and invest capital assets in perpetuity to ensure the operation of the Centre and its vital arts and heritage programming for generations to come. The Confederation Centre of the Arts Foundation is a publicly registered Canadian charitable foundation, as described in subsection 149.1(1) of the Income Tax Act, legally incorporated with the purpose of providing stable annual income to the Fathers of Confederation Buildings Trust (Confederation Centre of the Arts). As of October 2017, there are 31 named funds within the Foundation; each created with a minimum starting balance of $10,000, and each with its own unique, donor-directed purpose. General Operations: funds are disbursed to strengthen the areas of greatest need to meet current mandate priorities (9 funds). Endowment funds have been part of Confederation Centre’s funding formula since the first endowment fund was created by Bayliss Lee as a memorial to his artist wife, Ann Dow Lee, in 1973. The Foundation welcomes donations at all levels to any of its existing endowed funds, and also offers donors the opportunity to create a permanent legacy through a new named endowed fund, which can be tailored to support any specified area of interest. The Foundation has its own Board of Directors, separate from Confederation Centre of the Arts. The mandate of the Foundation Board is management and oversight of the endowment funds entrusted by generous donors. Directors conduct an annual review of all Foundation policies and are guided by a strategic five-year operational plan. All donations to Confederation Centre of the Arts Foundation are eligible for up to dollar for dollar matching through the Endowment Incentives component of the Department of Canadian Heritage’s Canada Cultural Investment Fund. The Canada Cultural Investment Fund encourages private sector investment, partnership and sound business practices to help arts and heritage organizations to build new revenue streams and to become better rooted and recognized in their communities. The Endowment Incentives component of the Fund encourages Canadians to support the arts by providing donations to an arts organization’s endowment fund. The government provides matching funds – of up to one dollar for every dollar raised from private donors – to create endowment funds or to increase existing ones. Raising capital and creating endowments gives these organizations greater capacity for realizing artistic expression by supporting their long-term stability. To date, more than 200 artistic organizations have received matching funds. 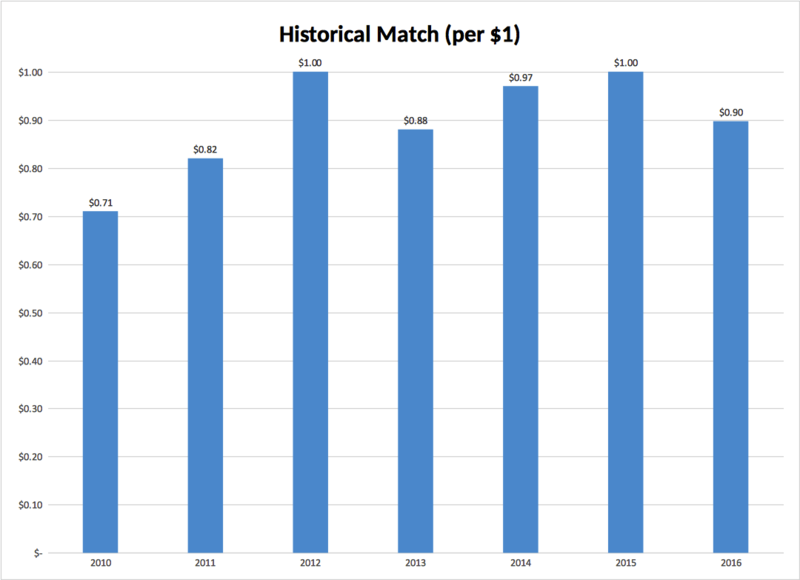 Since forming the Foundation in 2010 in order to access this exciting program, a match of 71 cents/$1 (2010); 81 cents/$1 (2011); $1/$1 (2012); 88 cents/$1 (2013); 97 cents/$1 (2014); $1/$1 (2015); and 90 cents/$1 (2016) has been received. There are many ways to contribute to the Foundation in support of the Centre’s long-term endeavours: financial gifts including cash, securities or real estate; legacy gifts such as bequests, gifts of art, life insurance, RRSPs, RRIFs, pension plans and charitable gift annuities. Any gift to the Foundation qualifies the donor as a member of Confederation Centre of the Arts’ Founders Circle. Payments for all gift levels can be accepted by cheque, credit card, online via CanadaHelps.org, transfer of securities (CLICK HERE to download our Gift of Securities Form), or by contacting the Development Office. For more information, please contact Rosie Shaw, Director, Philanthropic & Donor Partnerships / (902) 628-6137/ rshaw@confederationcentre.com.